In order to serve you better, Login below to retrieve your account information. You can review the status of your account and access all of the Online Customer Service options. Your Account number is 10 or 12 characters. For 10 character Account numbers, the first nine digits must be numbers and the tenth can be a number or a dash. You may log in using your 12 character Retrieval number that may begin with 2 letters followed by 10 numbers. 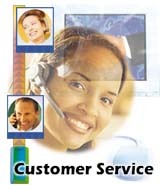 At DialAmerica, we value each and every customer interaction. If you don't find the answers you need here, we want to know about it. Use one of the links below or call customer service at 877-872-2362. On-line Payment - Make a credit card payment on our secure server. Order Magazine - Go to the DialAmerica Magazine Center to order a magazine subscription. Address Change - Use this easy change-of-address form to tell us where you're going. Missing Issue - If you're missing an issue of a magazine, use this form to let us know. Billing Inquiry - Check your balance or last payment received, or ask any questions you may have about what's on your bill. General Inquiry - Use this form to request changes to your current subscription, or other general inquiries. Suggestions - Use this handy form to submit a suggestion. FAQ - Find answers in our frequently asked questions index or send us your questions on-line - go to FAQ page. Magazine Program - What is the DialAmerica magazine program? How does it work and what's the benefit to me?